Main Gate of Maharaja College, Ara Main College Building of Maharaja College, Ara. Department of B.C.A Building of Maharaja College,Ara. Ara House of Maharaja College,Ara. Administrative Building of Maharaja College , Ara Department of B.C.A Building of Maharaja College,Ara from Other Side. College Central Library Building of Maharaja College,Ara. Botanical Garden of Maharaja College,Ara. Our mission is to impart value added and job oriented education (to our students), with emphasis on morality and ethics. The students who mostly come from rural background are from downtrodden families. We try to train them in such a way that they can meet the global challenges of the society and become the responsible citizen of the country as well . Maharaja College, Ara is a constituent unit of V.K.S.University, Ara was established on the 13th Sep. 1954 to meet the growing need of higher education facilities in this region. Ara was the headquarters of the then Sahabad district. 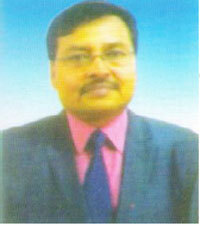 After the division of Sahabad District, Ara became the headquarters of Bhojpur District.